County Administrator Andrew Manley updated commissioners on his conversation with Dickinson County officials about jointly using the same individual to serve as the Planning and Zoning Director. Manley said that Tim Hamilton, has currently been spending the equivalent of “two days a week” overseeing Saline County’s planning and zoning department. 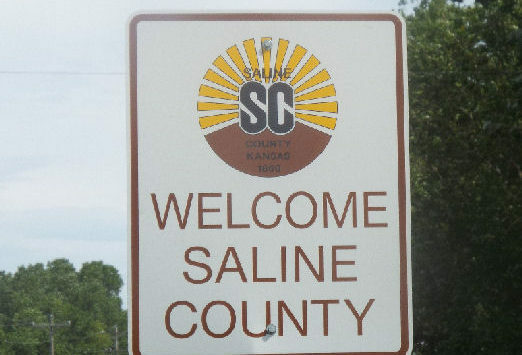 Commissioners are looking at contracting with Dickinson County; they are not looking to make Hamilton a part-time Saline County employee. 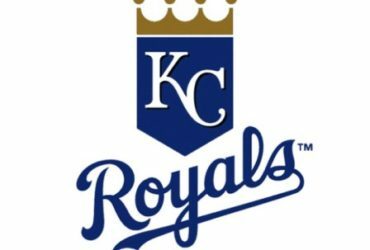 Commissioner Jim Weese received clarification that Hamilton would have 5 day availability, even though total hours might only add up to 16 hours/week. This translates into a calculation that 40% of Hamilton’s time will be spent on Saline County matters. Dickinson County officials had calculated that 40% of Hamilton’s wages and benefits amounts to an annual cost of $40,000. Negotiations will continue and will involve Human Resources and the County Counselor. Commissioner Monte Shadwick said he was “generally supportive” of the measure but wanted to hear public comment; public comment can be made by e-mails, phone calls, or speaking at Tuesday morning’s Open Forum. Chairman Robert Vidricksen described this as the “tip-of-the-iceberg” in terms of forming partnerships with the city and with other counties/communities to meet staffing/project needs. Over 15,000 people attend Kansas Equifest events over three days. It is one of the largest horse shows in the mid-west; it has typically three days of full events near the end of February. Equifest organizers are optimistic that if the event were held in Saline County, for multiple years, they could see even higher attendance. Equifest organizers have been working with Visit Salina. They’ve asked that Visit Salina pay them a $2,000 incentive if the event comes to Salina for one year. Another incentive option is for Visit Salina to pay them $4,500 if there is a five year commitment. Another option is for Visit Salina to pay Equifest a $10,000 incentive for the event to remain in Salina for 10 years; however, if the “powers that be” built a warm-up arena (at the present EXPO Center site), Equifax would waive the $10,000 incentive. The only drawback is that county’s lease on the present EXPO Center site will only be good for one or two years. The county began negotiating with the city to extend the lease over three years ago. At the time of this request, the negotiations are continuing. Vidricksen said that at present, the county “can’t commit to a warm-up arena”. Manley said “Equifest wants a long-term contract”. Shadwick offered that the county could pay the $5,500 difference “in good faith” to encourage Equifest to bring the event to Salina for the first year or two. Visit Salina is the entity that will sign the contract with Equifest. Vidricksen said he hoped the county and city could soon get to a conclusion on the EXPO Center. Equifest is not the only entity seeking multiple year use agreements with the EXPO Center. The value of mean property sales, for January and February 2019, is up 17.5% over the value of mean property sales in January and February 2018. Robertson wrote that the number of sales in the first 2 months of this year is at the second highest level in the last 10 years. Comparing sale prices from January-February 2019 and January-February 2018: Single family homes in Salina are selling for 30% more; sales of homes in small towns in Saline County are up 28.5%; those in rural areas are up 11.4%. Multifamily homes (of 2-4 units) are up by 37.1%. County Assessor Sean Robertson said these percentage increases in the market likely aren’t sustainable; he has seen this kind of pattern even out over the course of upcoming months. He said the Appraiser’s Office looks at multiple years of sales to establish appraisal values, in order to smooth peaks like this. He said this will not affect 2019 values at all. Robertson shared slides comparing real estate sales to the stock market. Looking just at the stock market, the total stock market percent change does not apply to each stock or each sector of stocks. Some stocks increase at a faster rate than the overall market. Some stocks decrease even in an increasing market. The purchase price of stocks years ago has little impact on current value. Planning to sell stock has no impact on market value. Moving to real estate values, total assessed value percent change does not apply to each property or area. Some properties assessed value increases at a faster rate than the overall market. Some properties assessed value decreases even in an increasing market. The purchase price of real estate years ago has little impact on current value. Planning to sell real estate has no impact on market value. Robertson’s full presentation is attached. Heard a budget request from Doug McKinney, Executive Director of North Central Regional Planning Commission. NCRPC helped weatherize 12 homes in Saline County in 2018. They are working on a bigger project involving Salina’s Masonic Temple. NCRPC uses Salina as a hub for multiple regional homeland security meetings, in part because Salina has aircraft accessibility. NCRPC typically holds 2-3 trainings a month in Salina. It is involved with working out an agreement for flying unmanned aircraft over a section of land in Brookville, to allow pilots to develop their skills. They are working on a renovation project involving the Missouri Pacific Depot. Received confirmation from Assurance Partners that county personnel who drive road graders need to continue to deny assistance to stranded motorists in non-Emergency situations; this aligns with the county’s legal counsel. County Clerk Jamie Allen requested two procedural changes. She likely will not identify who will be speaking on the agenda, as frequently, other individuals take the scheduled speakers place. She also will stop identifying “office callers” who do not speak. Proclaimed April Child Abuse Prevention Month.